Cops arrested a 99-year-old woman so she could cross it off her bucket list. Now, try again..... "Welcome Autumn" is my fave. 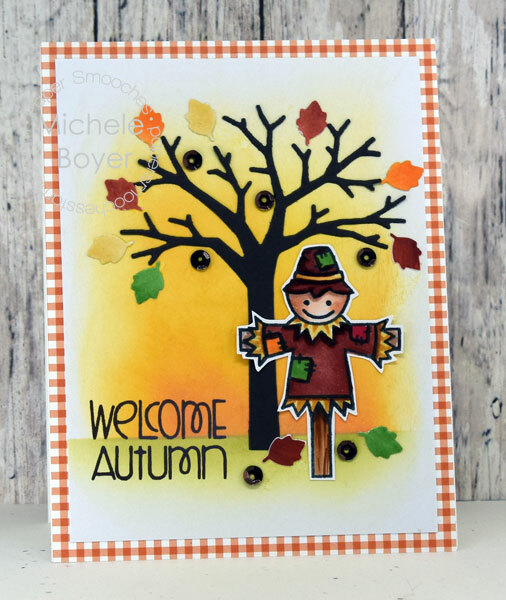 Love the scarecrow and the distressed background and tree with different leaves.... well, I just love the whole card!